Ally McLean is game developer, writer and producer at Robot House based in Sydney, Australia. She recently had huge success with her first feature-length PC game “Rumu” - a video game about a vacuum cleaner with feelings. 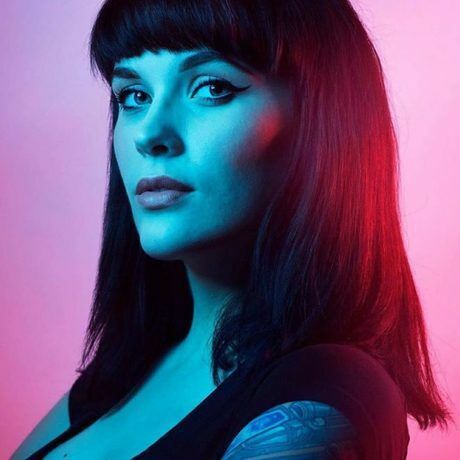 At Robot house Ally takes a hands-on creative leadership role on all projects and also manages the marketing for Hammerfall Publishing and the world-renowned VFX Studio, Plastic Wax. When Ally pitched Rumu to the team, a story rich game about a robot vacuum cleaner with feelings, she expected it to get shot down. Instead, she got to spend a year bringing it to life. The game has been incredibly well received by players and critics alike. “Rumu” was voted Australia’s favourite game in 2017. At age 24, she’s now considered a veteran in the Australian gaming scene and with an indie hit under her team’s belt, she’s already looking to give back. In an industry where only 19% are women, Ally has become a passionate advocate for women in games. Her goal is to eradicate the experience of being the only woman in the room and so she created a mentorship program, The Working Lunch. Ally coordinates long term mentorship opportunities for entry-level Australian women in games, as well as speaking at conferences locally and abroad about representation and inclusion. Ally’s transition into gaming is fascinating. She started out as a hugely successful international Cosplay artist being flown to comic conventions around the world. Cosplay is the art of dressing up as video game protagonists, anime characters and superheroes. With 300,000 social media followers, she was one of the most popular cosplayers globally. Ally has won some prestigious awards such as being a finalist in the “trailblazer” Women in Games Award 2017 and making the MCV Pacific “30 Under 30” list in 2016 and 2017.